I’m currently in Malibu, sitting at a small table next to a giant floor to ceiling window overlooking the Pacific. This weekend I came out to LA for work, then to vacation with my mom and sister. It’s been absolutely beautiful out here, and, not going to lie, I’m this close to packing everything up and heading west. But I won’t. Because I have some really fun things planned in Detroit on the horizon. These Banana Nutella Muffins are making me hungry, and I just ate a big dinner and chocolate. Which just proves how good they really are, am I right? I baked them in 6 giant muffin cups, but you can easily make this recipe for 12 muffins. Both variations have baking times included below. Use overripe bananas—Overripe, even brown, bananas are perfect for throwing into these muffins. You want really ripe bananas, because they’re soft and uber sweet. Mash them well with a fork before adding them to the muffin batter. 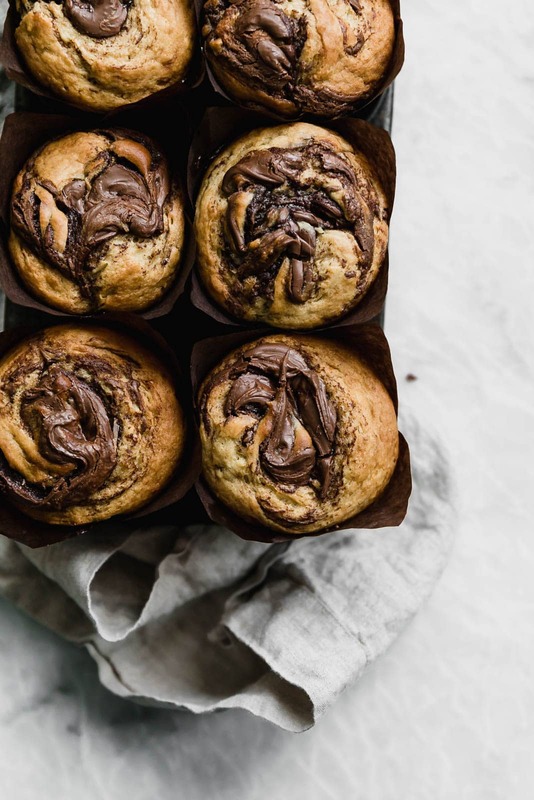 Don’t add more Nutella—At least, don’t add more Nutella to these muffins before popping them into the oven. I won’t stop you from slathering more onto these bad boys as you’re eating them. But if you add more Nutella than the recipe calls for before baking these banana muffins, you run the risk of overfilling the muffin tin. Don’t skip the salt—I know a teaspoon of salt seems strange in a muffin recipe, but I always like to add salt to my baked goods. 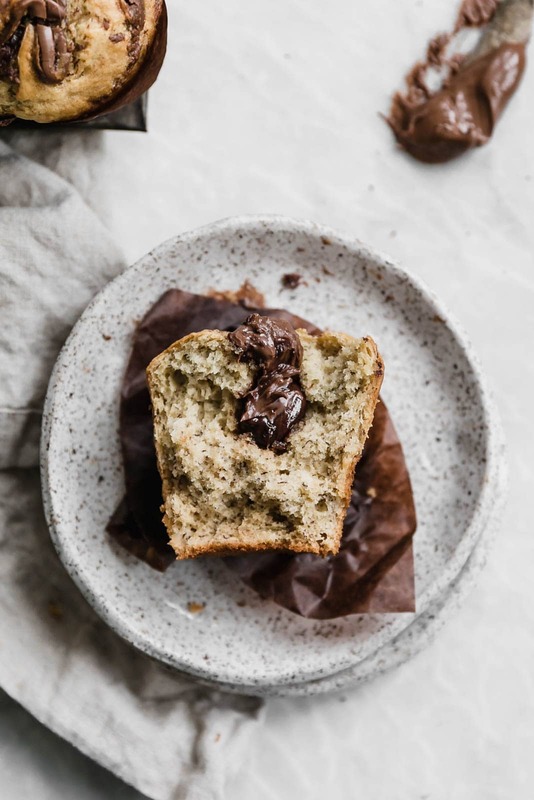 You won’t taste the salt, but it helps enhance the sweetness of the muffins and brings out the Nutella flavor even more. Don’t ask me how it works—the science behind baking is equal parts fascinating and confusing. 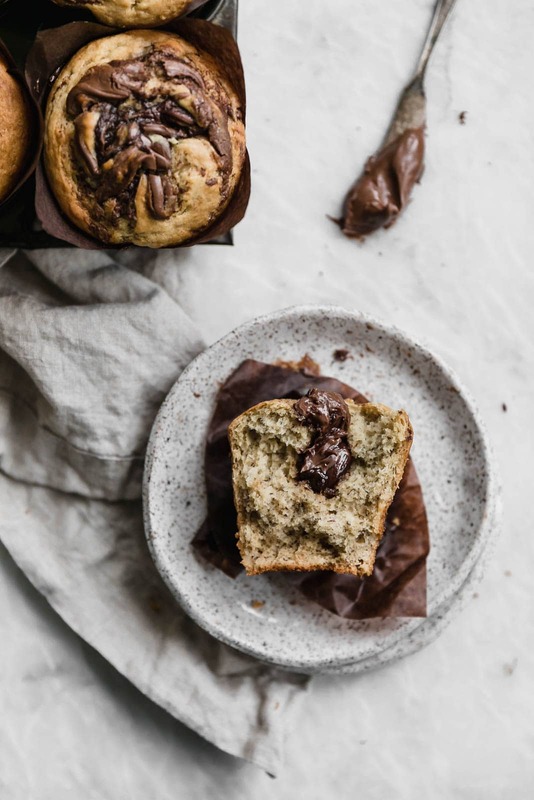 You can substitute some whole wheat flour—To make these banana Nutella muffins slightly healthier and more filling, feel free to swap out 1/2 cup of the all-purpose flour for 1/2 cup of whole wheat flour. I haven’t tried making these muffins with only whole wheat flour, so I can’t speak to how they’d turn out if you used all whole wheat flour! Don’t want oodles of leftover muffins hanging around your house? Freeze them for later! To freeze these banana Nutella muffins, let them first cool completely to room temperature before throwing them into a freezer baggie. 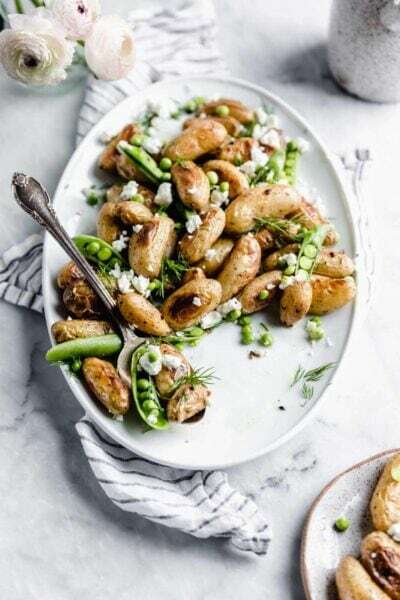 They’ll keep for up to 3 months and can easily be reheated in the microwave or oven. Or you can set one out on the counter and let it thaw to room temperature on its own (this will take the better part of an hour). Preheat the oven to 350ºF. Spray 6 giant or 12 regular muffin cups with cooking spray and set in a muffin tin. In a large bowl, combine the mashed bananas with the melted butter, stirring to combine. Mix in the eggs, greek yogurt, and vanilla. Set aside. In a separate bowl, combine the flour, baking soda, salt, and sugar. Fold the dry ingredients into the wet. Pour the batter evenly into the muffin cups. Melt Nutella in microwave for 20 seconds. 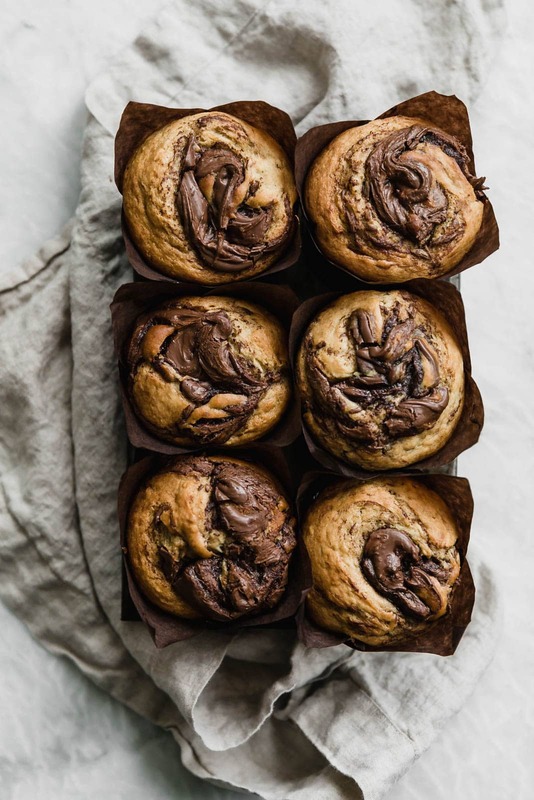 Drizzle Nutella over muffins, then gently swirl the batter with a knife to form swirls of Nutella. If using giant muffin cups, bake for 20-25 minutes, or until a knife inserted in the center comes out clean. If using small muffin cups, bake for 15-20 minutes, or until a knife inserted in the center comes out clean. Allow to cool for 15 minutes before serving! These look absolutely stunning Sarah! Enjoy Malibu. It sounds amazing. These are seriously A DREAM. Wish I had a bunch staring at my face right now! 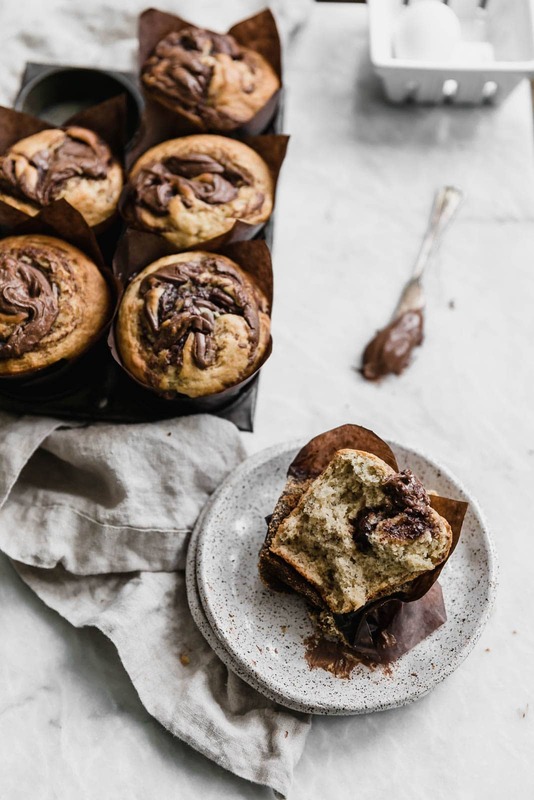 Out of the jar or in these muffins…the two best ways to eat Nutella!???? Uh…Jealous of Malibu and these gorgeous muffins. Love anything with a gooey, chocolatey center. Can’t wait to make! That Nutella swirl is everything! Well these are my new favorite muffins! Im all about that nutella swirl! These look absolutely amazing! I rarely eat Nutella, but I will never stop loving it. Way to amp up the classic banana muffin! Please tell me you deliver! Oh that nutella swirl!! I think I’m in love!! Fantastic composition ! So beautiful idea, photos, everything ! Thank you ! Delicious muffins! I ended up with 15 regular muffins and about two teaspoons of Nutella on each muffin. Thanks for the recipe! They turned out great! 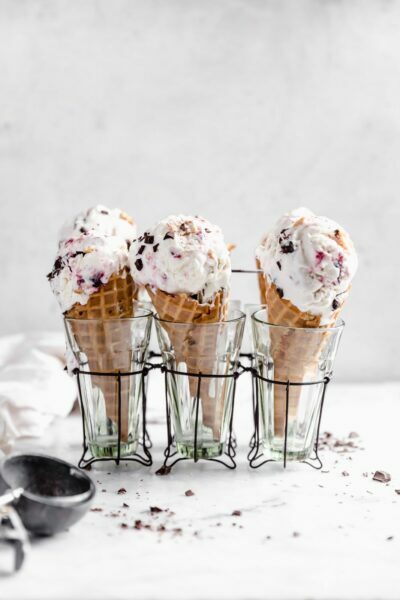 Wanted to make these today as they look delicious! Can you use sour cream in place of the lowfat yogurt?